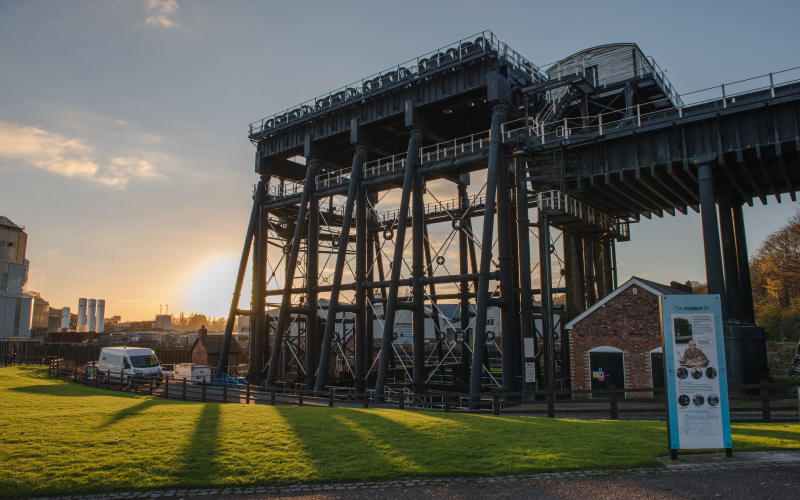 Situated in the Weaver Valley, north of Northwich, the Anderton Boat Lift is one of the ‘wonders of the waterways’. It was built in 1875 and extensively altered in 1908 when it was converted to electric operation. The Lift is an elegant example of the Victorians’ mastery of cast iron and hydraulics. 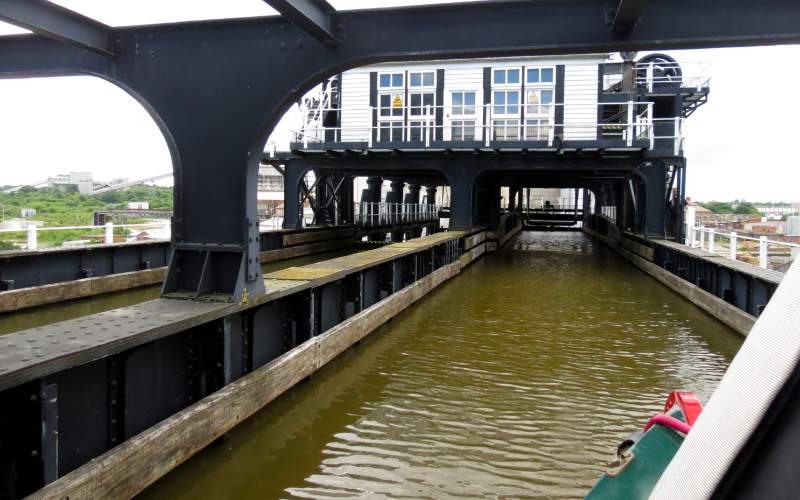 To satisfy the need for very heavy commercial and industrial canal traffic to navigate between the River Weaver and the Trent & Mersey Canal, the Lift provided a more effective and quicker means of transferring goods than the slow and labour-intensive inclined planes, hoists and chutes. It ceased operation in 1983 due to corrosion of its main supports. 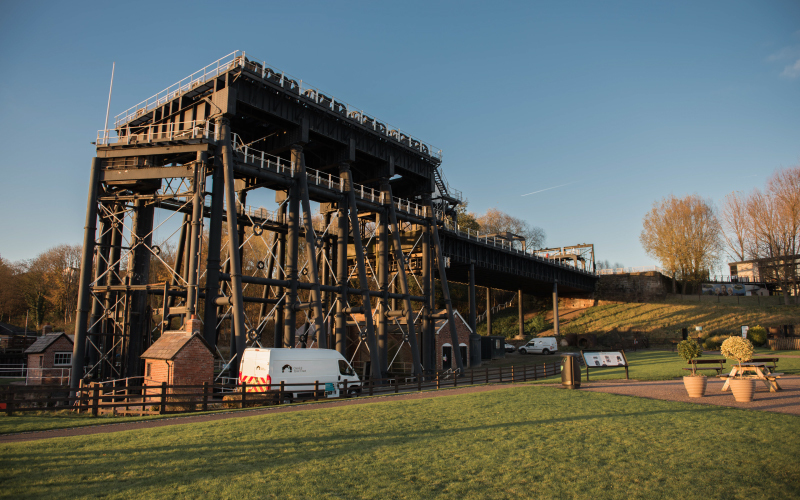 Fundraising and the restoration works are now completed by the Anderton Boat Lift Trust and the Lift has been restored to full working order. During the summer, trips to ‘ride’ the lift are available. The site may be viewed from the Trent & Mersey Canal at Anderton at all times, but access to the structure itself is not possible. 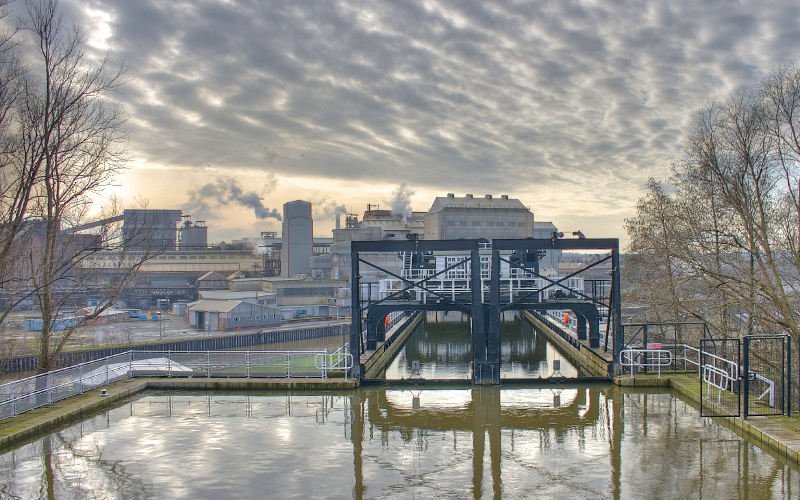 Further information can be obtained from Canal & River Trust (previously British Waterways Board) – Tel: (01606) 74321.